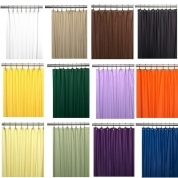 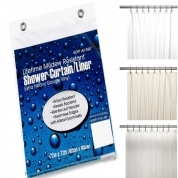 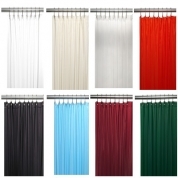 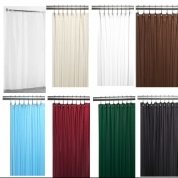 Shower curtains and shower curtain liners for less! 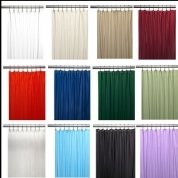 We carry a full range of fabric and vinyls shower curtains and shower curtain liners including 3 gauge, 4 gauge, 8 gauge and 10 gauge. 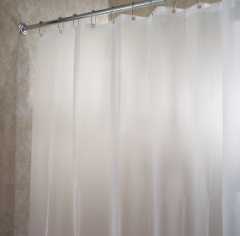 Many have metal reinforced grommets, weighted bottoms and are mold, mildew, and bacteria resistant.